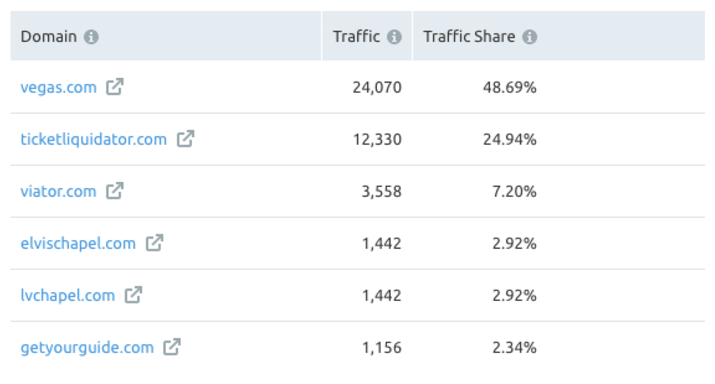 By examining our list of the top 10 affiliates that send the most traffic to advertisers on a monthly basis, we found that 40% of sites happen to be content project sites. We also found that, on average, travel content projects can send up to 50% of their traffic to advertisers. For instance, the average CTR in Google Ads across all industries is 1.91% on the search network and 0.35% on the display network, which proves once again that users nowadays don’t want to click on banners. Your readers are much more motivated to click when a link is placed within a piece of content that they find useful or at least are interested in reading it. Indeed, creating high-quality content is one of the best ways to drive traffic to your website. Have you heard that by creating an article that had keyword-traffic potential, backlinks, and, of course, value, Brian Dean of Backlinko increased his organic traffic by 110% in 14 days? But how do you know what topic to cover in your next piece? Adopting this technique before creating your next piece of content will help you to connect with users who will read your article in its entirety. One of the best formats is a Q&A guide that covers one subject. Ideally, it should help your readers solve a problem or fulfill a need, which is what we are all looking for. Try creating this type of content and you’ll learn that it’s really easy to promote it and get people to link to it. 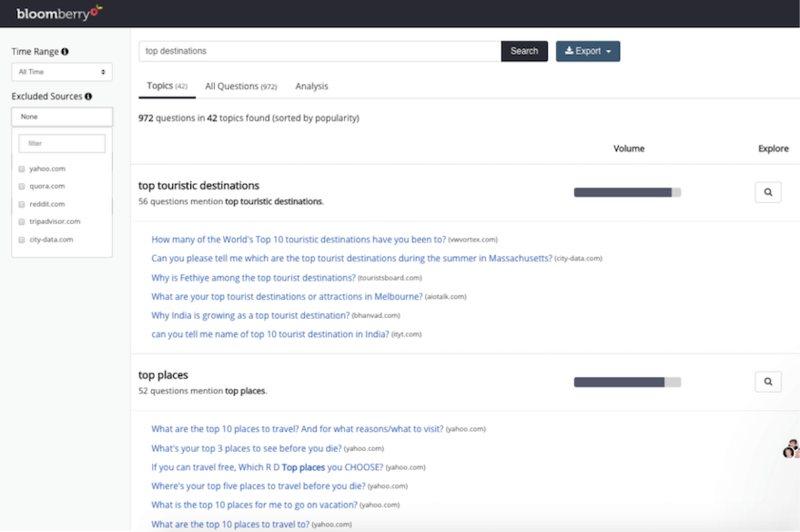 Another opportunity that has also been, remarkably, overlooked, especially by the top travel affiliates, is launching a content project that targets a non-English speaking audience. We’ve learned that such projects can monetize much faster because they don’t need a lot of links. For example, Podoroznik.co.uk in a Polish language site that has over 2,000 visitors a month coming from organic search, and only 47 referring domains. Obviously, the competition in Google in local markets is less aggressive than it is in the US. 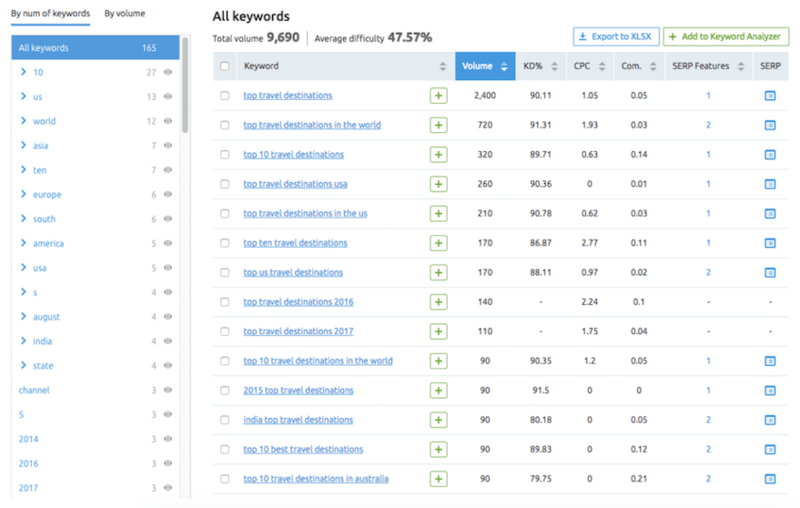 Use this tool to narrow down your search for a specific problem, or get inspired to center your search around a particular location, because then it has a better chance of sending up to 40% of your traffic to advertisers. Lasvegas-entertainment-guide.com is an excellent example of a medium-sized site that is performing far beyond other average sites of its kind. Small sites tend to perform better when it comes to sending users to advertisers. On average, they send 11% of their traffic to advertisers. This number is 1.57 times higher than the one of top affiliates’ (a top affiliate site only sends 7% of its traffic to big advertisers). We analyzed exactly how content projects that get steady traffic from search have been able to achieve such outstanding results. What we found out is that these websites publish two posts weekly, for a total of 15 posts a month. Basically, this means that you need to prepare your content pieces in advance in order to be able to post regularly. If you don’t think this strategy will fit into your hectic schedule, then you can come up with either a series of travel guides that will help your readers learn more about a particular destination without needing to browse dozens of other sites, or a series of case studies that show exactly how your product can help users or make their lives easier. Both of these types of posts should be updated on a regular basis, and contain content that is easy to navigate. Another thing we’d like to emphasize the importance of is your site’s number of referring domains. This number directly impacts your Google rankings. The minimum number of referring domains necessary for your site to successfully show up in search results is between 130 to 140. Without this many links, it’s almost impossible to generate traffic from search. With search generating up to 68% of overall traffic, content creation matters a lot in terms of search engine rankings. This is something you must devote enough time and effort to. After gathering answers from the industry experts we surveyed and the data we collected, our research proves that you don’t need to have an abundant flow of traffic to your website to have a successful business. 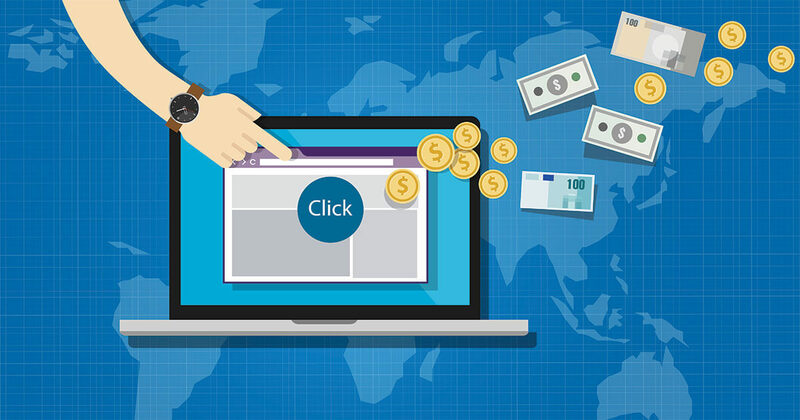 Consider starting a content project or transforming your existing site into one, as placing links in relevant articles posted on platforms other your website will bring you more clicks, and as a result, more money. When looking for referring domains, stay within 130 to 140 domains. If you have some good-quality pieces of content published on your website, you should begin receiving anywhere from 1,000-2,000 organic visitors monthly. Local travel markets are being highly underestimated. We were able to confirm that content projects that are focused on local markets or on a particular audience’s preferences perform best. Additionally, our data-driven research demonstrates that the current environment of the affiliate travel market has favorable conditions for generating revenue, even if one decides to work with leading affiliate programs. Nobody argues that Facebook is off the charts, but sometimes it’s useful to take a break from it and surf other social media platforms. It opens up new perspectives in raising money via less-competitive platforms. 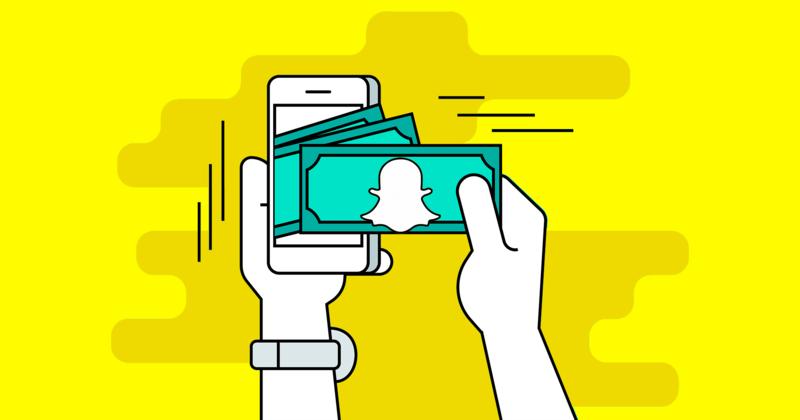 Snapchat is what you need, but no one believed in its monetization capabilities a few years ago. Nowadays, it is used both for communication, for expanding the client base and getting more sales. We’ll clarify the essence of this platform and see Snapchat monetization ideas not only in travel, but in other niches as well. 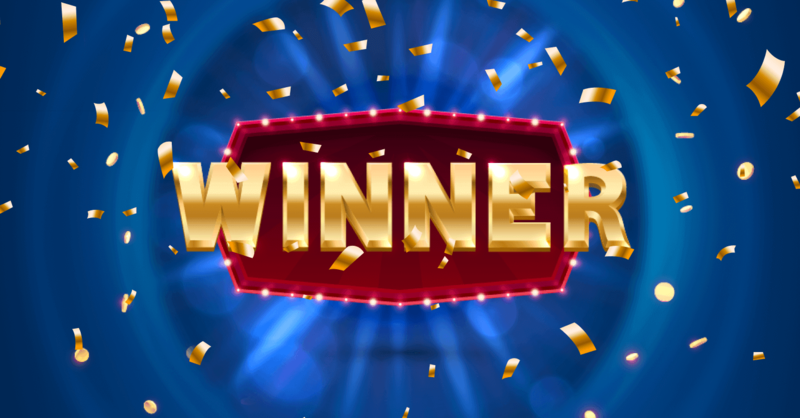 The April Fool’s game Tasino is over and it’s a time to announce the winners. Among all the participants, we had to choose one winner, but in the end, we decided to give the prizes to three! Because when the time comes to give presents, it’s hard to stop us.